A DYING pilot haunted by memories from the day one of his aircraft crashed is trying to clear his name. Bruce Rhoades, the former owner and chief pilot of 1770 Castaway, said his life was "destroyed" on January 10, 2017, when one of his aircraft crashed on Middle Island. Afraid he won't be alive to see the results of Australian Transport Safety Bureau's final report on what caused the crash, Mr Rhoades has gone public with his concerns about evidence used to cancel his, his company's and Les Woodall's licences days after the incident. The company licence was cancelled by Civil Aviation Safety Authority, which claimed the company was an "imminent risk to air safety". The crash led to the death of a 29-year-old UK tourist and left three others injured, including the pilot Mr Woodall. CASA corporate communications manager Peter Gibson told The Observer in its review of the crash it found concerns about the weight balance on the aircraft, Mr Woodall's conduct in the moments leading up to the crash and evidence of aerobatic manoeuvres. "We could see some potential issues here and we have to make a decision on what we do, in the interest of the safety of the public," he said. But Mr Rhoades hotly disputes these claims and has accused CASA of fabricating evidence against him. With a fatal cancer diagnosis, Mr Rhoades said he was not afraid of speaking out against the organisation and potential repercussions. Since making his concerns public on ABC's 7.30 Report last month, he said his case had only strengthened with other pilots contacting him with similar stories. Mr Rhoades never appealed his licence cancellation because he said it would take more than a year and cost hundreds of thousands of dollars, which he didn't have. But he said Mr Woodall, who has 3000 hours of flight experience and a clean record, struck a deal with CASA. Mr Woodall agreed to a confidential settlement on the basis that he withdrew his evidence. "That said to me CASA is trying to hide evidence, they don't want the full story to be revealed," Mr Rhoades said. Mr Rhoades disagrees with CASA's suggestion that Mr Woodall should have landed in the ocean. He said had Mr Woodall landed in the sea, instead of on the sand, it would be unlikely anyone could have survived. "The wheels would dig in and the aircraft would flip upside down, it would sink nose first ... the water pressure would make it impossible to open the doors," Mr Rhoades said. "This is something (Les and I) discussed many times, the danger of putting the aircraft into a water landing. "Our aircraft was legal to do flights to the reef but I considered the danger to be too high... we would not take the aircraft beyond glide distance from land." Mr Rhoades said CASA admitted during the proceedings that the water level would have been 50cm. But Mr Rhoades said given the tides that afternoon it would have been more than a metre deep. "The tide was running out to sea at a rate of six to eight knots ... they would have been drifting out to sea, towards swell while sinking," he said. "What are the chances of assisting that aircraft?" Mr Rhoades also said he believed CASA was wrong in suggesting they put travellers in danger with "aerobatic manoeuvres". He said despite many backpackers who boarded their flights wanting an adrenalin-filled trip, their acrobatics were within the legal limits. "As part of these flights ... tourists demanded and expected some sort of that thrill ... which we were happy to provide," Mr Rhoades said. "These manoeuvres were well within the limits of our aircraft's normal operating range, concerning charter loads, balance and fuel." During the decade Mr Rhoades operated the tourism charter flights he carried out 15,000 beach landings. He said Mr Woodall carried out the same beach landings during his four years as a pilot working at 1770 Castaway. Mr Rhoades said Mr Woodall's conduct during the flight was also criticised by CASA, who believed he should not have flown below 500 feet. "Our landing site was a beach covered by tidal flows... it was an essential safety procedure for the lead aircraft on the first flight of the day to carry out a precautionary search and landing inspection, at a low enough altitude for a thorough visual inspection of the beach prior to landing," he said. "That is non-negotiable, that you carry out an inspection of that beach, who knows what debris could have gone onto that beach that could damage an aircraft on landing." Mr Rhoades said Mr Woodall was carrying out a low-level inspection when it's believed his engine failed. Shortly after his aircraft crashed on the beach. Mr Rhoades hopes by speaking out he will encourage the Federal Government to change the way CASA operates. "They are supposed to be a safety authority but they're not, pilots won't talk to them because they don't trust them," he said. "But if you speak out against CASA they would come down on you. "If it wasn't for my diagnosis I would've allowed the normal process of the ATSB report and the coronal inquiry to follow its natural course but that could take up to five years." But CASA has stood by its findings, saying it "carefully considered" the available evidence and took appropriate action. "CASA does not investigate accidents ... our job is to review regulatory and safety issues following serious accidents and incidents," Mr Gibson said. "We look at the available accidents and make careful judgements on any safety issues and the right actions to take in the interests of public safety." Mr Rhoades has sent an 18-page report into how CASA reviewed the crash to the Minister for Transport, Deputy Prime Minister Michael McCormack. The Observer approached Mr McCormack's office for comment. We asked if he had received the report and spoken to CASA about Mr Rhoades's concerns. 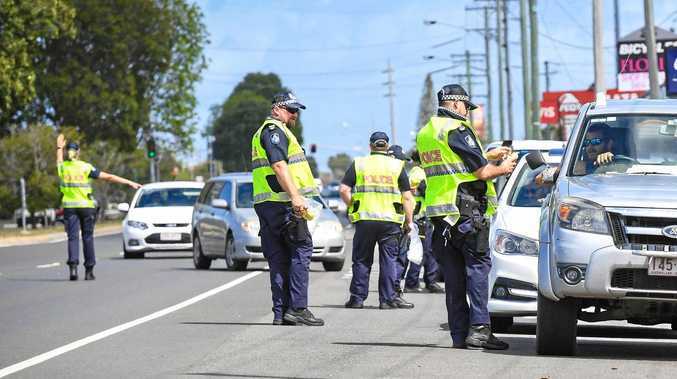 In a statement he said: "The accident is currently being investigated by the Australian Transport Safety Bureau and expected to be the subject of a coronial inquest. In these circumstances, we are unable to provide any comment." 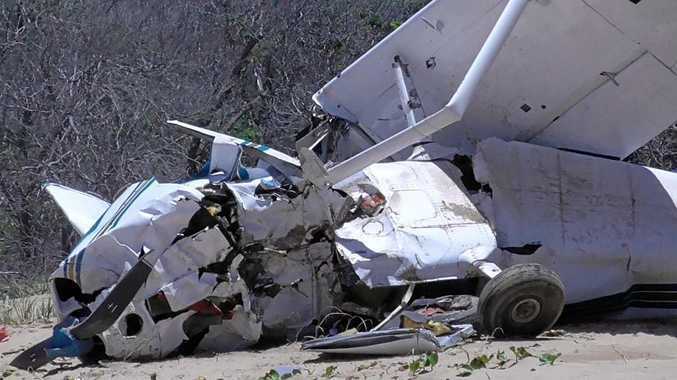 A preliminary report into the crash by Australian Transport Safety Bureau found the engine sustained a "sudden power loss", which prompted Mr Woodall to head for the beach to land. ATSB and the coroners continue crash investigations.